Mayweather and Pacquiao stare each other down. This fight has been nearly a decade in the making. 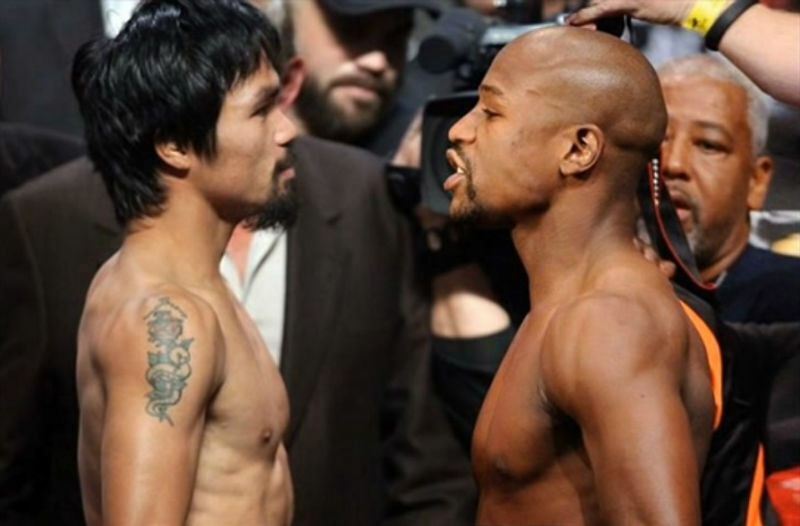 On May 2nd, Floyd “Money” Mayweather Jr. will square off against Manny “Pac-Man” Pacquiao to determine once and for all which fighter is boxing’s undisputed champion. For the casual boxing fans among you, this post will break down Saturday’s epic war: what’s happening, why it matters, and — of course — who I think is going to win.